One of my roles on ProgArchives is being a member of the Crossover sub-genre team. We are asked to listen to bands and gauge whether we believe that they should firstly be listen on PA, and secondly if they should be classified as 'Crossover Prog' or sent to another team for them to see what they think. It certainly leads to interesting discussions, and I get to hear a lot of music I wouldn't otherwise. But, I rarely read any information we are also provided with (which can be as much as full history or as a little as a name), as I just want to listen to the music. One of the bands we recently assessed was Cairo, who we quickly and duly passed, and I then contacted the band to see if they could provide me with a biography. So, I was quite surprised to get a response from Rob Cottingham, who I have known since Touchstone first started, as I thought he was still with that band and hadn't realised that he had formed a new one. Listening to an album to determine style is quite different to listening to it for review purposes, and I was glad to have the opportunity and go back and play it a few more times with a different set of ears. What immediately strikes the listener right from the introductory beginnings, is that this is an incredibly mature piece of work, and the production from John Mitchell (It Bites, Frost*, Arena and others) is simply spot on. With Rob being joined on lead vocals by Rachel Hill, the use of both harmony and different lead vocals adds to what is a sumptuous and incredibly deep music soundscape. Some albums feel light, as if something is missing, while others are overtly complex and want to tie the listeners in knots while they try to follow one overly-intricate musical thread after another. 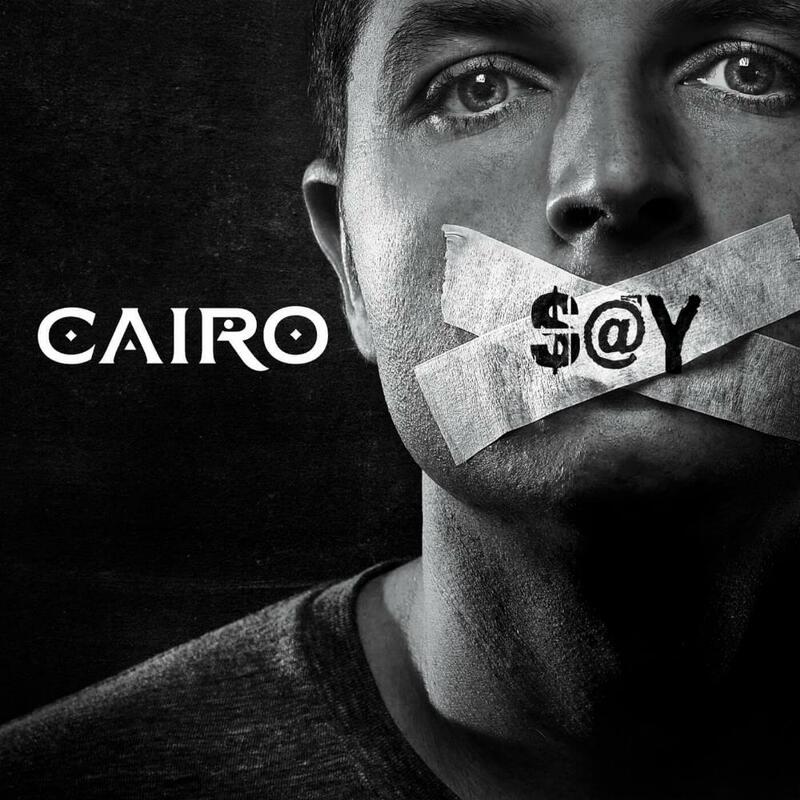 Not so with Cairo, this is a band confident in their abilities, whether it is the few fretless bass notes to draw the music in with a warmth, or the delicate piano, or those simple guitar lines, percussion, or unaccompanied vocals. Each time I play the album I get something more from it, and I fell in love with it the very first time, and the more I play it the more I realise just how special it is. This isn't something that is going to hit the listener in the face, but rather is an arm around the shoulders gently guiding the listener to the best seat in the house, by the fire, and enwrapping them with a blanket that is majestic yet never over the top. This is something very special indeed, and must be treated as such: if you enjoy melodic prog then you will love this.